Have you just bought a new home? Congratulations! If this isn’t your first home, you already know about the thousands of hard-to-anticipate little things that will need your attention over the next few months. However, there can be a steep learning curve for first time home buyers over your first months or even years of home ownership. If you haven’t considered the state of your new home’s HVAC system with winter on the way, there will be a few steps you’ll want to make to guarantee a cozy abode through the holiday season. To get you started, we’ve compiled some valuable advice about HVAC systems and homeownership to help you hit the ground running. To begin, let’s develop a basic understanding of how your HVAC system works. The three most common types of fuel that power HVAC systems are oil, electricity, and natural gas. Oil is safe and perhaps the most traditional form of fuel, electricity is required for all HVAC systems, and natural gas is a popular choice nowadays due to its attributed environmental and financial benefits. There are a wide variety of HVAC systems available on the market today, so how do you decide which one to get as a new homeowner? 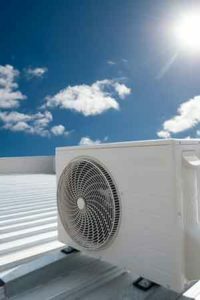 Here are some types of HVAC systems that we work with here at Presidential Heating and Air Conditioning for you to consider in order to make the best choice for your new home and family. To get started, let’s take a look at how heat pumps work. Although there may be many different types of heat pumps, they all operate using the same basic principle: heat transfer. Unlike other types of HVAC systems, heat pumps don’t burn fuel to create heat. Instead, they simply transfer heat from one place to another. This is due to the natural tendency of heat to move from a warmer area to a colder one. If you like the sound of a heating system that doesn’t use fuel, a heat pump may be an excellent choice for you. Just be aware that there are different types of heat pumps: air source, ground source, and absorption. These three basic types work differently, so you should conduct further research on how heat pumps operate before making a decision. Furnaces are another heating system choice for your new home. The basic components of a gas furnace system include a burner, heat exchanger, ductwork, and a flue or vent pipe. A gas furnace uses both natural gas and electricity in order to maintain your home’s climate. They can last for as long as twenty or twenty-five years, so these may be a particularly attractive option if you intend to stay in your new home for a long time! During the winter, some homeowners may encounter common problems with furnaces that occur when the system’s filter becomes dirty. This is easily remedied by carrying out basic maintenance every so often by simply changing the filter. You can also schedule furnace maintenance before the winter hits from a professional if you want to ensure your house is nice and cosy during the cold season. Boilers use a variety of fuels to run depending on what type you get. They burn a fuel such as oil, coal, or natural gas inside a tank or vessel and the chemical reaction that takes place produces heat. A residential boiler will send heat throughout the house using pipes. This heat is sent through the pipes to steam radiators. 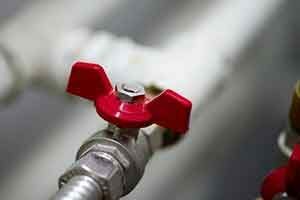 This aspect of a boiler heating system certainly gives you, a new homeowner, pause for thought. Do you want a quieter, effective solution or would you prefer a heating system that isn’t so visible? The advantage of boiler heating systems is that they really heat up a house well, and the type of heat they emit can be more comfortable than other systems. Other forms of heating systems, particularly those that mainly pump hot air around the home, can often emit dry and dusty heat. A boiler, on the other hand, accentuates good air quality and emits a more natural type of heat. As one of the newest types of system technologies on the market, the benefits of a ductless split system are numerous. Mini splits consist of both an indoor and outdoor unit which are connected by what’s known as a conduit or conductor. Homeowners often find these systems to be very convenient and many can even be operated using a wireless remote! Mini splits operate without requiring ducts throughout your home, which makes this an advantageous choice for a new homeowner. Ducts are one of the elements of more traditional systems which often need repair or maintenance, so the fact that this system works without ducts can save you money down the road. No ducts also mean easier installation because they can be installed pretty much anywhere. Other systems can be very noisy and interrupt your sleep or relaxation, but you won’t have this problem with a mini split—these systems are known for quiet operations. New homeowners may be hesitant about opting for revolutionary technology such as a geothermal heating system. Despite the complex sounding name, however, geothermal is not an option to ignore. Geothermal heating technology for your home offers many benefits. Not only is this an environmentally friendly option, it also saves you money on your energy bills. Opting for such a system means you can rest assured that you’re looking after the environment while maintaining a comfortable home. As a relatively new form of heating system, geothermal systems use some of the newest technology in the HVAC industry: heat pumps. Geothermal systems also use refrigerant like other HVAC systems, but they don’t send it into the atmosphere. Instead, the system stores it, allowing you to make use of it later. The refrigerant circulates along long loops which are installed underneath your residence. Temperatures are constant deep under the ground, so the storage of the refrigerant is very economical and energy efficient. As you can see, the options for a home HVAC system are plentiful. No matter what type of system you choose for your new home, you should familiarize yourself with the maintenance tasks unique to your particular system. For example, make sure it is cleaned of dust and debris regularly in order to ensure it heats your home effectively. Additionally, always make sure you choose a reputable HVAC professional who can both install your very first heating system and keep it at peak condition for decades to come. This means that your new home will be the comfortable place you always dreamed of.